SilentWool Joist is the natural and effective way to reduce structureborne sound transmission caused by contact between joists, floors and subfloors. SilentWool Joist is rolled out on existing timber or joists prior to wooden floors or subfloors being laid down. The impact of footsteps for example is absorbed by the 3mm thick wool quilt that lies under the floor. This will reduce the effective noise heard in the rooms below. Minimise structureborne sound transfer in your building project with joist laid acoustic insulation strips. 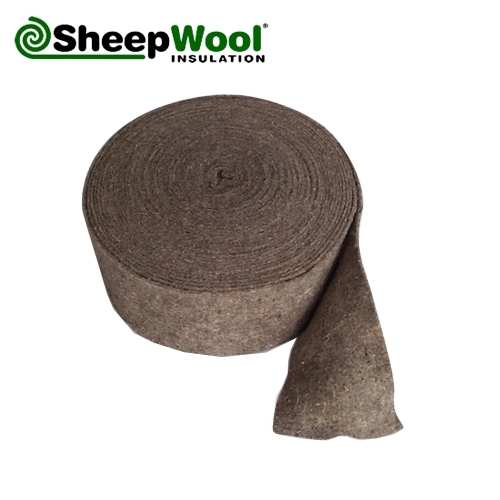 Natural insulation: 100% pure sheeps wool. This product is unique in that it is the only product on the market to have Ionic Protect, a new biocide free wool protection system. Ecological, sustainable and durability proven! 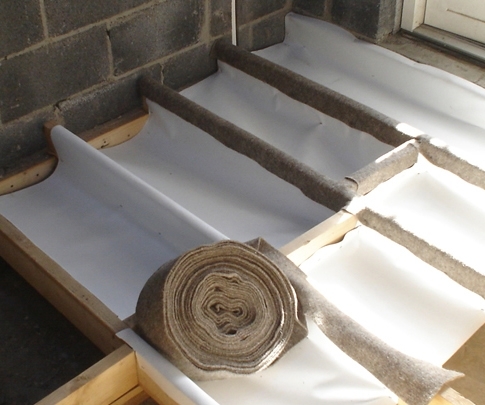 The procedure treats the wool fibre in a plasma-ionic way aiming to protect it against all the negative influences of the building environment. Ionic Protect sustains and protects sheepwool insulation, acting as a natural moth repellent and prevents the fibres from being eaten. The performance of Ionic Protect has been checked and confirmed by an independent labaratory (CUAP test).